Wind and Waterproof Storm Matches even burn while wet. 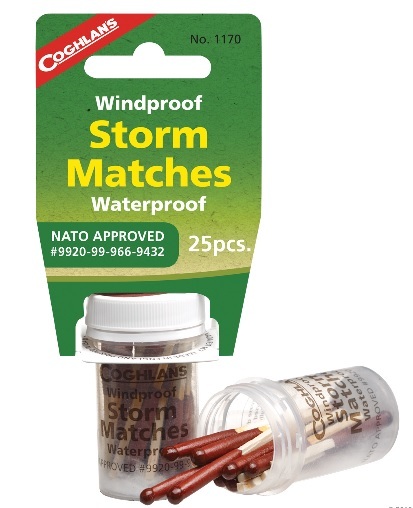 These matches were developed specifically for the UK Ministry of Defence and are NATO approved. Designed to light in all extremes of weather, the match can withstand immersion in water and cannot be extinguished by wind, making it the ideal match when out in harsh conditions. Match head burn for 10 seconds. Waterproof tub comes with two striker surfaces.